Ways to give back as you reflect on the holiday! Happy Independence week! The Fourth of July is this week, and the week is filled with a variety of different festivities, activities and celebrations commemorating the holiday. Whether it’s the parade, carnival or one of the other exciting Fourth Fest activities happening here in Lawrence, Independence Day is the perfect day for everyone in the community to come together and celebrate our nation. The fourth is such a special holiday for our nation, and what better way to celebrate it than focusing on ways to give back! As we are half the way through the year, this is the perfect time to get involved in your community and help make it a better place! Looking for opportunities for this week and on-going? Check out our list of volunteering opportunities. Calling all handy(wo)men. We have a few projects that need to be completed and we just don't have enough hands to do them ourselves. Can you spare a few hours this Saturday, July 7th from 9am-? to come and help us out? Even if you only have an hour or two to give, it will mean the world to us! Do you have a couple of hours during the day each week to come and help Arts for Lawrence with admin duties? We are always looking for community members who'd like to donate a few hours of their time to help with answering the phone, greeting visitors, helping sell theater tickets and more. Sounds like something you'd be interested in or interested in more information? Contact leciafloyd@artsforlawrence.org with your availability. As you and your family reflect on what is special about the fourth, we encourage you to discuss how important it is to give back to your community. 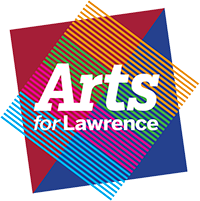 We hope you and your family will consider donating your time to Arts for Lawrence. We have opportunities for all ages!